Having been on my 'countdown 'till it comes' list since it was solicited, I'm looking forward to catching up on all that's happened in the life of Zack Overkill since the last mini, and if you are a 'mature reader' after a read that's well worth the coin, I recommend you think about taking this issue for a spin. Sure the creators are mega-stars in their own right, the concept of a super-villan in a witness protection program took home three Eisner awards and is optioned for Hollywood, but what really shows the guys live and breathe their work is the amount of pulp-noir based extras in the books back pages that aren't available anywhere else but the single issue form. Yip, that's right they support the you's and me's that still fork out for the solo's. If that isn't worth another clap or two I don't know what is. Yes Dan finally is here, i had to re read the first series last night to make sure i catch up well and i am ready for more. As far as Hollywood picking it up, i am sure you will also agree,i just hope they do not mess up it up. The comic series it self to me,is a visual movie but will still love to see it on the big screen. I sure do IFF1 For some reason it's the adaptations of the Vertigo/Creator owned books I get the most worried about. Maybe because they are done more than any other book with a distinct vision in mind. 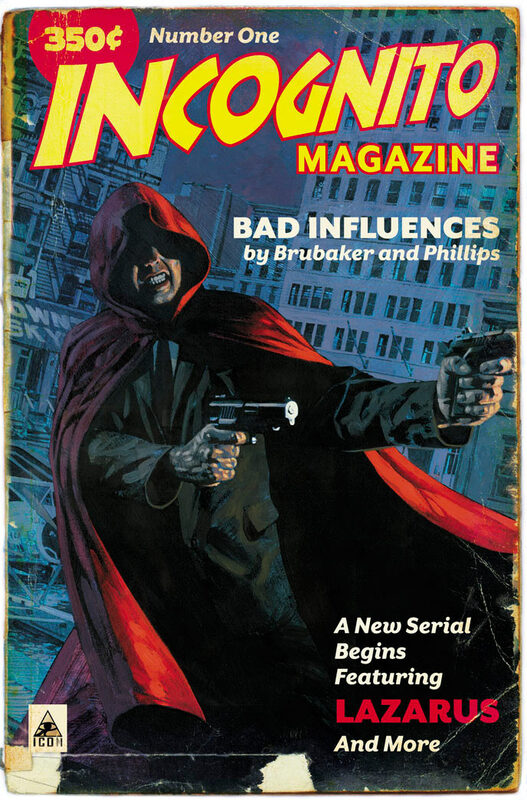 Plus both Incognito and Criminal celebrate all that is wicked about retro pulp. Pulling that off in modern cinema could be tricky - but hey if Sin City can do it!